Did you guys know that on top of being a major film tech geek, that I also minored in history. Yeah, so here is a local history lesson steeped in film nerdery. In 1962 the Cooper Cinerama opened in St. Louis Park. Many call it the “Grandaddy” of IMAX, and all luxury theaters. Originally designed to project the three strip Cinerama process, it would later be used to showcase 5 perf 70mm, as well as 35mm films. 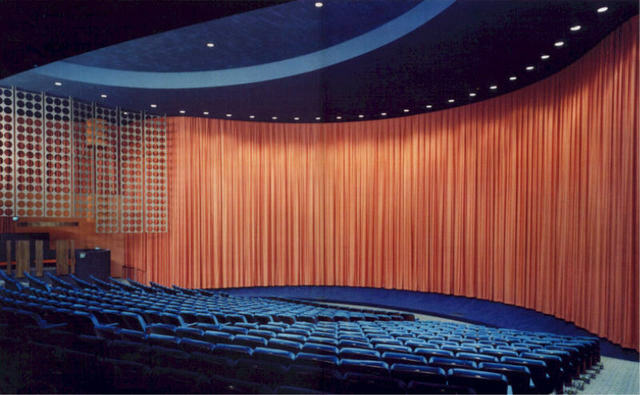 The 100 foot wide screen was curved to accomodate the three projectors needed for Cinerama and to provide an immersive effect. 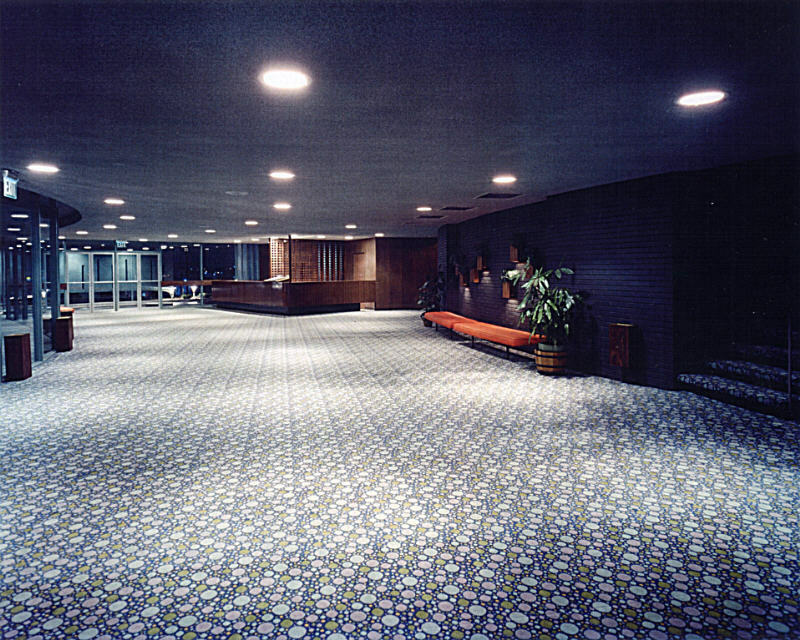 So spectacular was the Cooper that it hosted the Hollywood Premier of the disaster movie Airport, filmed at the nearby Minneapolis International Airport. As time passed the grandeur of the theater began to fade. Less money was put in to maintenance and updates. Large single screen theaters fell out of popularity with theater owners who favored smaller screen multiplexes. An addition was added to the Cooper of two smaller screens called the “Cooper Cameo”. The Cooper would soon come to be owned by United Artists Theater Group who also owned the Cineplex Odeon Chain of theaters. Cineplex Odeon would soon open a 12 screen multiplex only a mile away stiking the fatal blow to the theater. In January 1991, the Cooper would show its last film, Dances With Wolves. By October it would meet the wrecking ball. 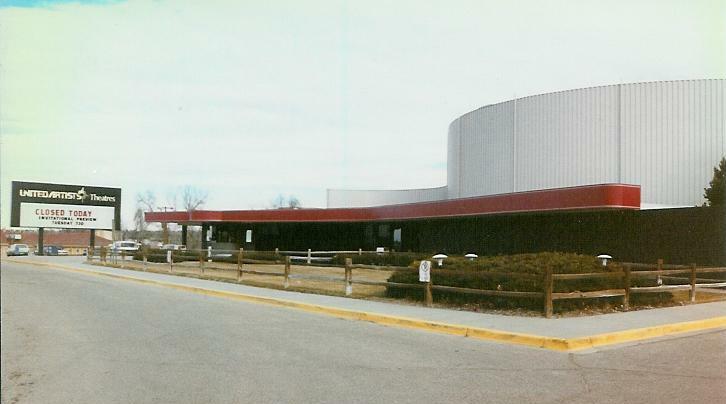 Several years later her sister theater the Indian Hills Cooper Theater in Omaha Nebraska would meet the same fate despite vocal efforts to save her from the community, and even Siskel and Ebert. Today an Olive Garden sits on her grave (I won’t eat there). This left a sour taste in my mouth for the Willow Creek Cineplex Odeon. If ever a theater deserved a steaming bag of poop on the doorstep that was the theater. To my amazement redemption would follow. One day I found myself eating Chineese next door, and to my suprise the Willow Creek 12 had changed ownership and was showing some old catolog movies and not just new releases. After checking their facebook I realized they hosted a great number of non mainstream screenings. Not only that, they had one of the last remaining 70mm projectors in the Twin Cities. How could I stay mad? Long after nearly every theater in the state converted to digital. 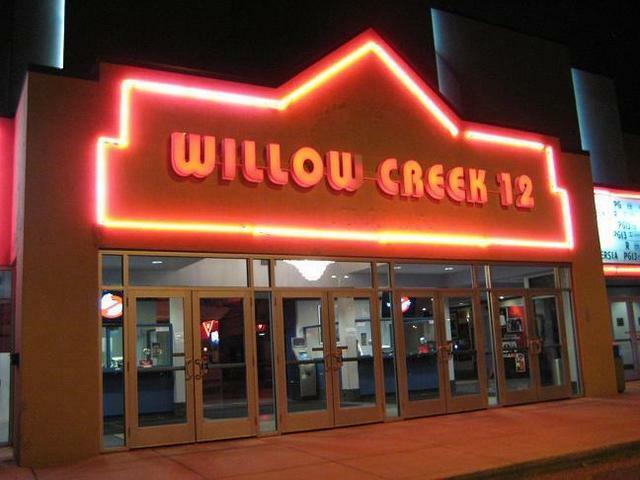 Muller Families Willow Creek 12 would go on to screen one of only ten 5-perf 70mm prints of Interstellar in existence. And possibly the only new 70mm print in the midwest screened since the Coopers demise in the early 90’s. They even went as far as to post several cool videos about the 70mm Interstellar print on Youtube. Clearly, no longer being owned by Cineplex Odeon, but rather the Muller family, the Willow Creek 12, and it’s projectionist have shown a passion for traditional celluloid and traditional film, and for that they should be commended. Perhaps, it is fitting as some much needed redemption for the loss of the Cooper all those years ago. What spurred this long rant? Well I had thought Interstellar would be the last new movie I ever saw on film, let alone 70mm. Not so! Quentin Tarantino is looking to distribute 70mm film prints of the Hateful Eight, and I just pray that Willow Creek get’s one. I will definately leave my home theater for it. This entry was posted in Uncategorized by flatnate. Bookmark the permalink.